We’re coming to the end of a massive building project in our home. I can’t say it’s been the most stress-free period of my life with the door being a turnstile to tradesmen, never knowing how will be here day to day or when they’re going to be here. And I’m missing the quiet of my home, the opportunity to hide with a book or have a sneaky 5 minute cat nap when the mini murrays and Al are away at school and work. And I feel I’m constantly playing ‘catch up’. There have been ‘discussions’ over our decisions – everything from the units, colours, worktops, tiles/no tiles, skirtings, facings, lights, paint etc. The architect and joiner, have also recently had a very similar extensions/kitchens done to their own home. They’ve struggled not to put their design/influences on our home including all the finishing touches – a minimalist kitchen, whilst beautiful, would rub against a house filled with children’s drawings, toys and books. It’s been a good opportunity to reflect on my own practice supporting expectant parents in their journey to parenthood and realise the importance of not placing my own experience on those I work with. What’s important is to remain impartial – not focus on what’s happened to me or my own personal thoughts or judgements about what’s going on – I can’t take my OWN experience into someone else’s life and try to sway them into a decision about how they birth or parent THEIR baby. What’s important is I continue to offer an independent approach with clear information and options. It doesn’t mean I can’t say at times, I remember that stage…. or what I found hard was…. and remaining empathetic and honest. Working with parents to be – what’s important to recognise is that it’s their decisions, their choices, their way of working, their issues and most importantly their babies. This is very much what Preparing for Parenting will be about – providing clear, impartial, independent, high quality information – delivered empathetically by someone who’s been there and supported a wide variety of new parents and is aware of the challenges and needs of new families. If you’d like to keep up to date with upcoming events, news and special offers – sign up to my regular newsletter where you’ll be the first to hear AND receive a FREE 52 ways to Prepare for Parenting download. 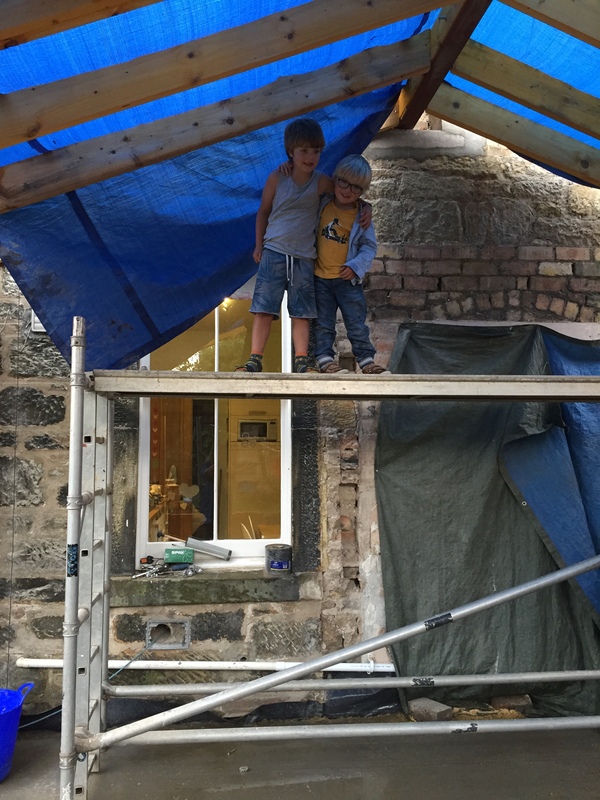 PS the architect and builders are wonderful and the outcome is far better than I ever considered possible – if you’re about to build a new home in Edinburgh…. I’ll give you their details…. ⟵How can you develop ‘good’ eaters?